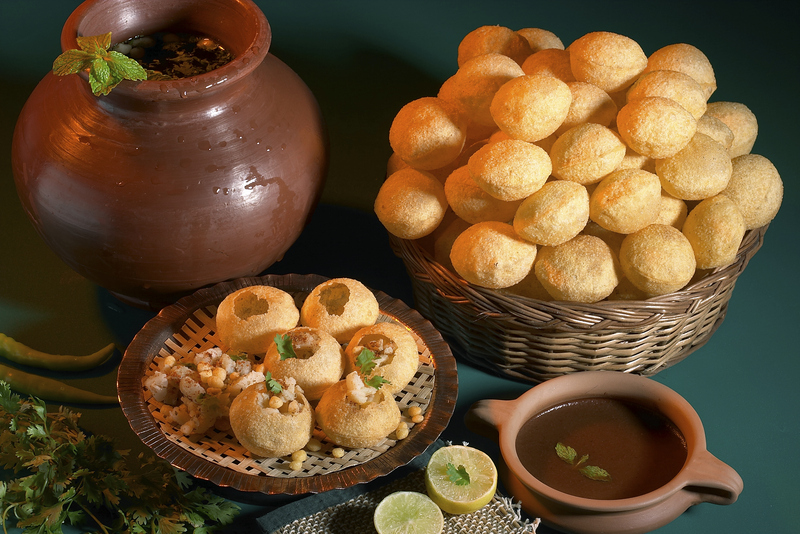 Pani Puri had the traditional way, from an earthen pot. Does anyone anywhere in the world need any introduction to this dish! If you haven’t tasted, you sure have heard of it. And if you’ve travelled anywhere across India, you’ve for sure seen it being sold on the roadside. 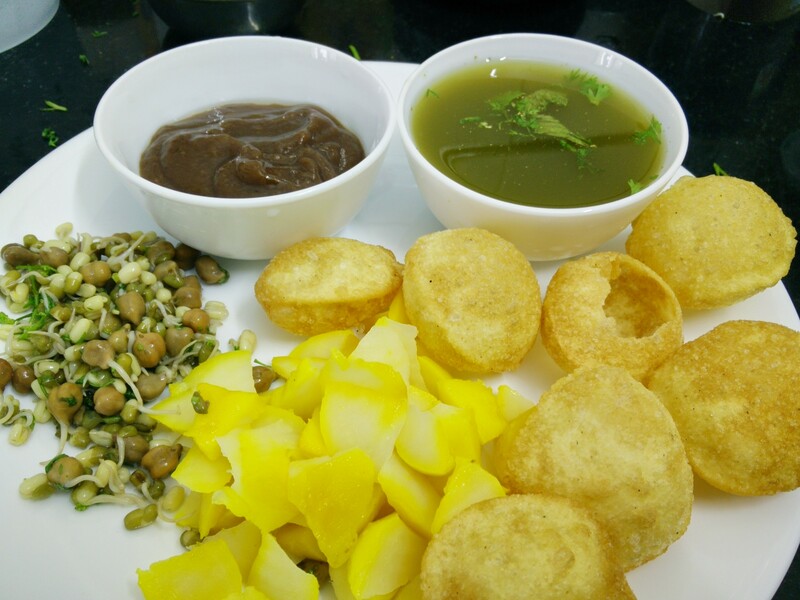 This is one dish that has many names, its called gol gappas in Delhi, Puchka in Kolkatta and Pani Puri in Mumbai and Gujarat. Cook all the ingredients in the pressure cooker for a good 10 minutes. Let cool and liquidise to a dropping consistency. Handful of mint and coriander leaves. Mix up all the cooked ingredients and garnish with mint and corainder leaves. Cool before use. Grind the ingredients in a mixer. Top it up with 1 litre of water and chill for at least 3 hours. You could add chopped mint and coriander leaves before serving and a dash of lemon juice. Serve 10 puris with a large bowl of spicy pani, small ball of filling and and even smaller bowl of sweet chutney. Take one fluffed up puri, making a whole in the centre on one side. Fill it with the filling, add a bit of the chutney, immerse the puri in he spicy water. and put it in your mouth to enjoy an explosion of flavours.